Home | Housing | Let’s Do It Again! DOF Helps CMCS Adquire Two More Homes! DOF Cardinal McCloskey Community Services (CMCS), a NY non-profit, requests financing in an amount up to $1,600,000 to facilitate the purchase and development of two non-certified homes in partnership with NY’s Office for People with Developmental Disabilities (OPWDD). The two new homes in Westchester, N.Y. are expected to benefit eight adults with significant developmental and physical disabilities. These are “Highly Complex” cases, in the language of OPWDD, and thus eligible for more extensive set of around the clock services. 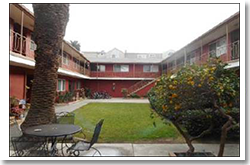 CMCS has identified the specific individuals who will live in these two homes, all young adults who have recently, or will soon, age out of residential educational programs. 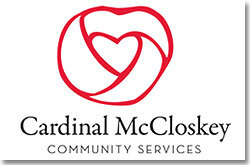 Cardinal McCloskey Community Services (CMCS) is a non-sectarian social service agency which serves developmentally disabled adults, abused and neglected children, and at-risk families. It provides services to children, families and adults from New York City, and Westchester and Rockland counties through eighteen different programs including: independent living programs, group homes for teens, emergency residential care, parental training, group day care, adult group homes, day habilitation and service coordination for the developmentally disabled. CMCS receives substantially all of its revenue from Medicaid and other federal, state and local governmental entities, with government revenues accounting for approximately 90% of total revenues over the past five years. CMCS has a long history of programmatic innovation and success. Founded in 1946 as a residential home for abandoned, neglected and homeless children, it has continually added innovative programs as it evolved through the decades eventually closing its original, large residential facility, in part due to the success of its smaller residential, foster care and adoption services. CMCS began working with psychiatric and developmentally disabled children in the 1990s, as an early adopter of a therapeutic foster care model, and opened its first group homes for this population at that time. In 2011, CMCS opened, with DOF financing and support, its first small scale group home for young adults with autism, which it claims is the first such home to incorporate an Applied Behavioral Analysis model of operation, and the success of which, it believes, will serve as a model for other agencies providing residential services for adults with autism.